Colorado Laser Spa is a family-owned business based in Gunnison, Colo., with a second location in Crested Butte, Colo. Operated by a mother-daughter team, Colorado Laser Spa is the Gunnison Valley’s only advanced aesthetics medical spa. Our trusted professionals provide integrated wellness to improve your well-being, fight the signs of aging, and enhance your body’s natural beauty. Our trained and experienced team employs the latest developments and technologies in advanced medical aesthetics. With the use of advanced laser aesthetics, IPL photofacials, and other modern treatments, our med spa will reverse signs of aging including sagging skin, sun damage, and wrinkles. We also address medical issues such as cherry angiomas (red spots), spider veins, and moles. Through CoolSculpting®, we can freeze fat cells for good and contour your body. With beauty therapies such as waxing, tinting, and eye lash treatments, we assist you in achieving your desired appearance. 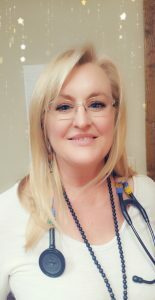 Our board-certified medical director is Dr. Sherry L. Niccoli, a Fellow of the American Congress of Obstetricians and Gynecologists (F.A.C.O.G) who operates an obstetrics and gynecology practice in Gunnison. Dr. Niccoli moved to Gunnison in 1984 with her two young daughters where she remarried a third-generation Crested Butte local. With a passion for helping others, she decided to pursue an undergraduate degree in pre-medicine so she could become a doctor. In 1993, Dr. Niccoli graduated from Western State College with her undergraduate degree in pre-medicine. She then attended medical school at Colorado University with post-graduate training in Phoenix, AZ. In 2004, Dr. Niccoli proudly opened her OB/GYN Clinic in Gunnison with a strong desire to serve the health needs of women. Understanding women’s health issues are complex and deserve personalized attention, Dr. Niccoli treats every patient with complete care for their individual needs. In addition to her passion for treating her patients, she believes in the importance of overall health and wellness. 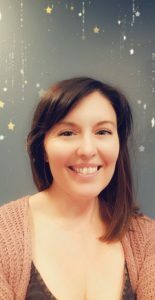 Realizing her female patients needed help feeling good about themselves, Dr. Niccoli opened the Colorado Laser Spa with her daughter, Tarah Niccoli-Taylor, in 2009. This fulfilled a need in the Gunnison Valley for a local laser, CoolSculpting®, and medical spa that could treat both residents and visitors alike. By devoting her time and attention to every patient she sees, Dr. Niccoli aids our med spa clients in achieving complete health and wellness so they can feel their very best. In addition, she has the education and experience to recommend treatments that improve the total wellness of guests at our very special medical spa where they can feel good about themselves inside and out. Our certified on-site aesthetician is Tarah Niccoli-Taylor. Having moved to Gunnison with her family in 1984, Niccoli-Taylor grew up surrounded by the natural beauty of the Gunnison Valley, helping out on the family ranch. A 1996 graduate of Gunnison High School, she attended the University of Northern Colorado in Greeley where she earned two degrees in 2005: a Bachelor of Science in Business Administration and a Bachelor of Arts in Theatre Dance. After college, Niccoli-Taylor moved to Phoenix where she worked as a professional dancer and business professional in marketing for a large home builder from 2005-2009. Following the crash of the housing market, she decided to return to the Gunnison Valley to partner with her mother in the opening of the Colorado Laser Spa, Gunnison’s only advanced aesthetics laser, CoolSculpting®, and medical spa. Like her mother, Niccoli-Taylor wanted to make women feel better about themselves and achieve their beauty and skin-care goals. In 2010, she became a licensed esthetician and pursued advanced training in microdermabrasion, chemical peels, aesthetic injections, lasers, and CoolSculpting®. Now with a family of her own, Niccoli-Taylor loves helping her clients feel great about themselves and building their self-confidence. In partnership with Dr. Niccoli, she has grown Colorado Laser Spa into Gunnison’s premiere destination med spa for visitors and locals alike. The goal at Colorado Laser Spa is to provide the best in health, wellness, and beauty care for our clients with the highest level of customer service. Every guest is provided superior, world-class service with a personal touch to help them achieve the greatest non-surgical results possible. Colorado Laser Spa is the Gunnison Valley’s preeminent destination medical spa where you can relax, refresh, and revive. At Colorado Laser Spa, we believe wellness and beauty should be within everyone’s reach. That’s why we are committed to keeping our highly-effective, luxurious spa and laser treatments affordable for every client. Our Local VIP Program rewards Gunnison Valley residents for their continuous patronage. Visitors to the area can take advantage of special deals as they experience an anonymous mountain rejuvenation so they can go home looking and feeling like a million without spending a fortune.